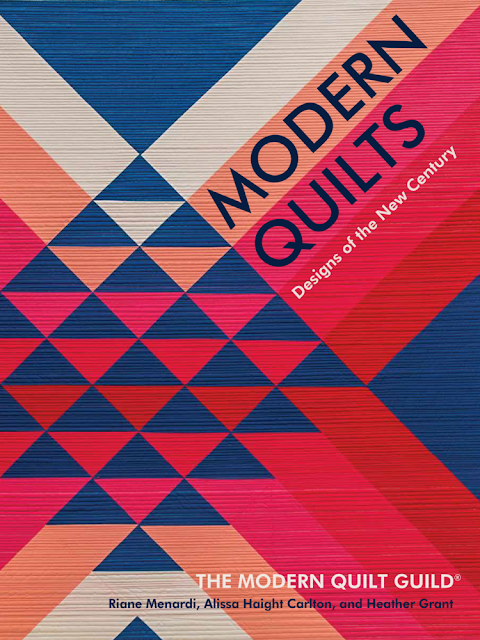 I'm very excited to share that the Modern Quilt Guild's book Modern Quilts for a New Century is now available to purchase!! Inside you will find more than 200 beautiful modern quilts curated by Riane Menardi, Alissa Haight Carlton and Heather Grant. 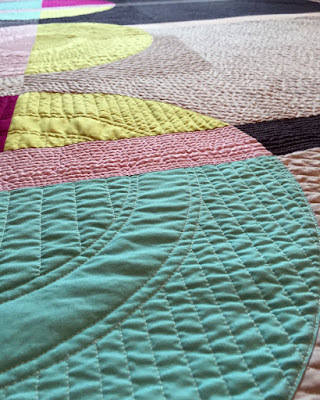 I'm completely honored to have my quilt, Modern Stepping Stones, included among so many other breath taking quilts. 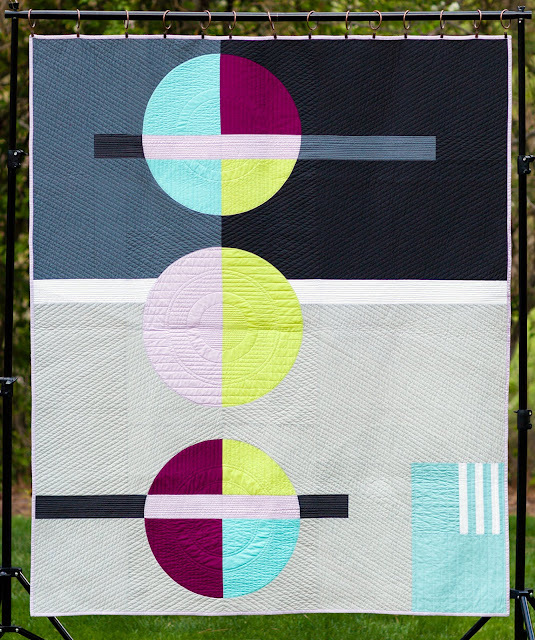 When I designed Modern Stepping Stones I wasn't sure who I was as a quilt designer and only knew that I liked clean geometric designs but being fairly new to quilting I clung to the idea that quilts needed to be made up of blocks and grids. Then I stumbled across a pillow at West Elm that featured a circle bisected by a long rectangle and thought to myself, 'I could make quilt like that.' From there I ditched the grid and designed a my first quilt as though the entire surface was a canvas. Since then Modern Stepping Stones has been on quite the journey. It was accepted into the MQG Showcase at Quilt Festival 2016, hung at QuiltCon 2017, featured in both QuiltCon and Simply Moderne magazines, traveled in the Best of QuiltCon showcase, and now will be part of a Modern Quilts museum exhibit. It's been quite the ride and many of the quilts featured in Modern Quilts: Design of the New Century have had similar adventures. I can't express how grateful I am to the MQG for giving me this opportunity along with so many other opportunities. They have facilitated so much creativity and growth in my work and the work of others in the past that I can't wait to see what 2018 will produce.